We had a BBQ this week and for some reason I though people want to eat s'mores at a BBQ. (I guess I got that confused with camping.) I figured even though the days of skipping life and eating graham crackers has passed me by, that I needed to make the graham crackers for others to enjoy. And then I wondered why the heck no one ever makes graham crackers. They are by far the underrated crispy cookie (lets just call it what it is ) of the snack world. I think I might make it my new thing. I'll make graham crackers for ever cookie swap situation, every event that requires a dessert, every time a snack is need, until people realize what they are missing. I'll bring the graham cracker into all it's glory. 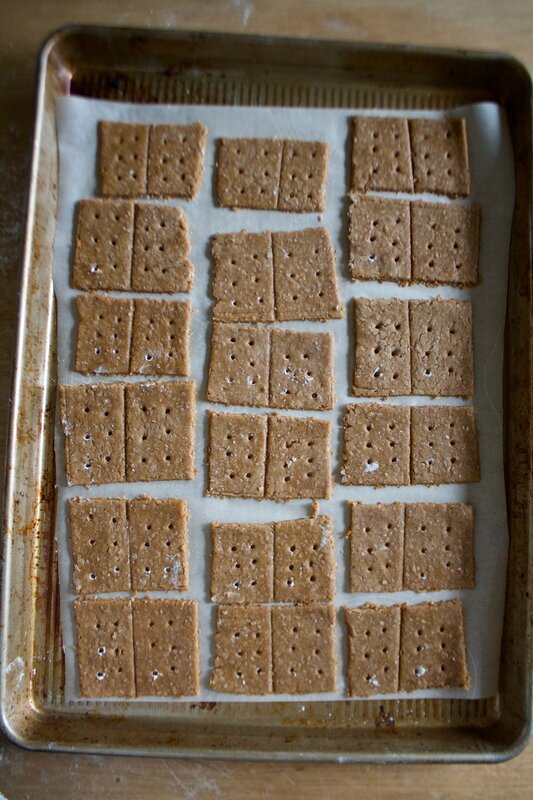 These graham crackers were raved over by people who like graham crackers and were absolutely perfect for s'mores. A few of the littles that don't like graham crackers did not care for them, but I guess you can't make everyone happy. Tthey just wanted to eat the marshmallows.) 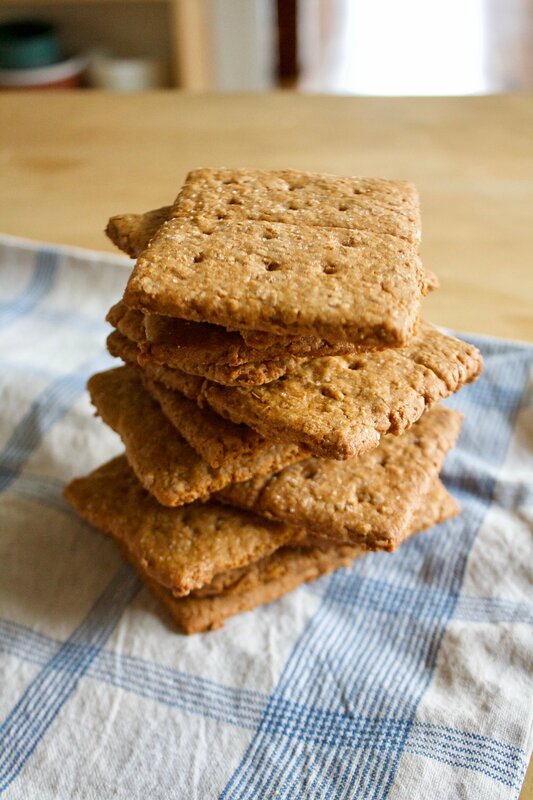 They are crispy and crackery, tiny bit smokey and sweet but not to sweet, and perfect for all your graham cracker needs. The stuff. 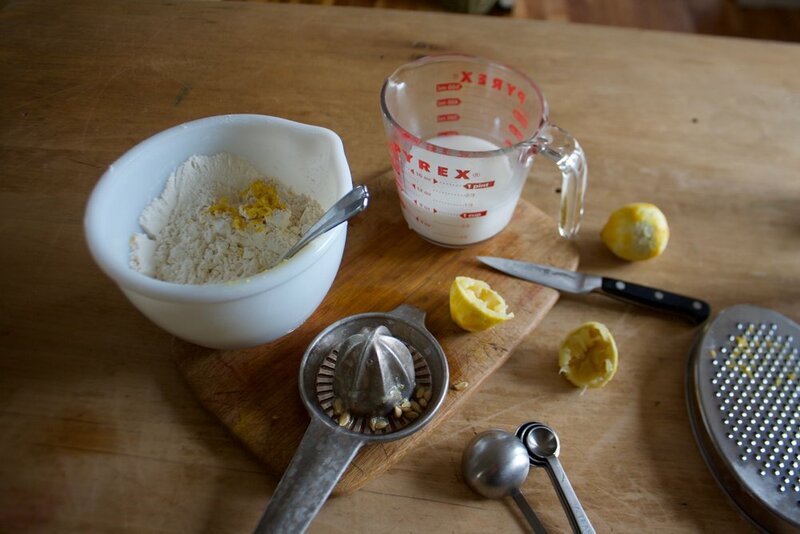 In one bowl there is graham flour, all purpose flour, baking soda and salt. 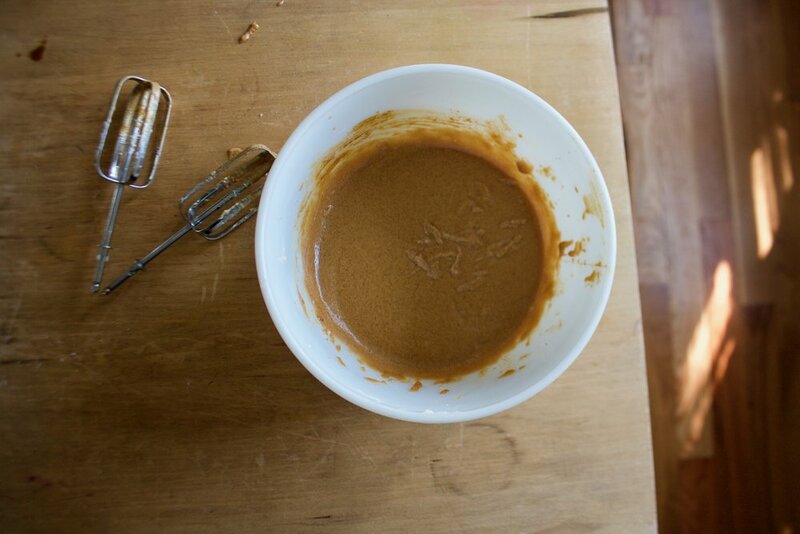 The other bowl has brown sugar, honey and molasses. Also going to need vegan butter, vanilla, and a little bit of plant milk. 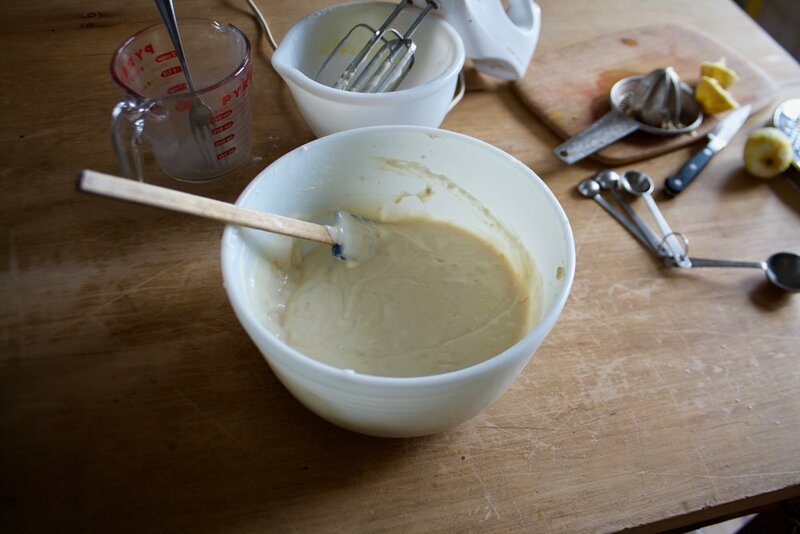 The big bowl of sweet stuff get beaten together with the butter and vanilla until smooth, then the dry mixture and milk go in an beaten until just combined.
. 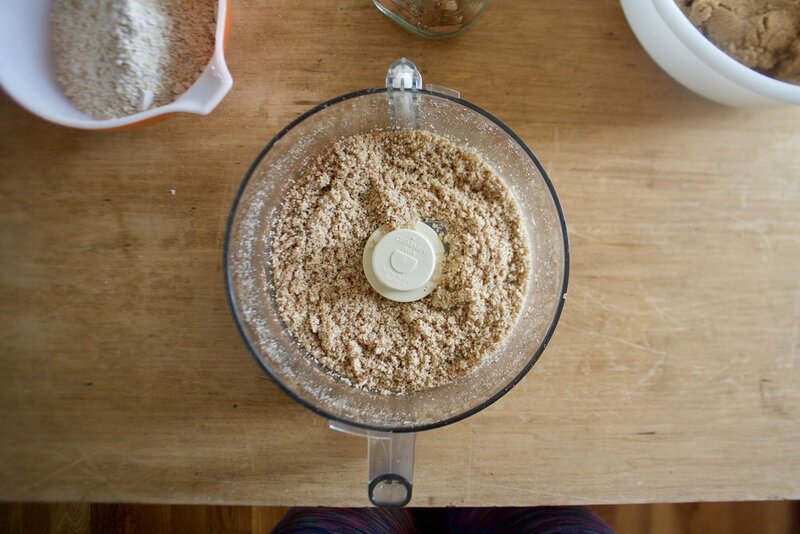 This is what graham cracker dough looks like. Course and chunky, but done. Don't beat it anymore, just use your hands to gather it tighter. 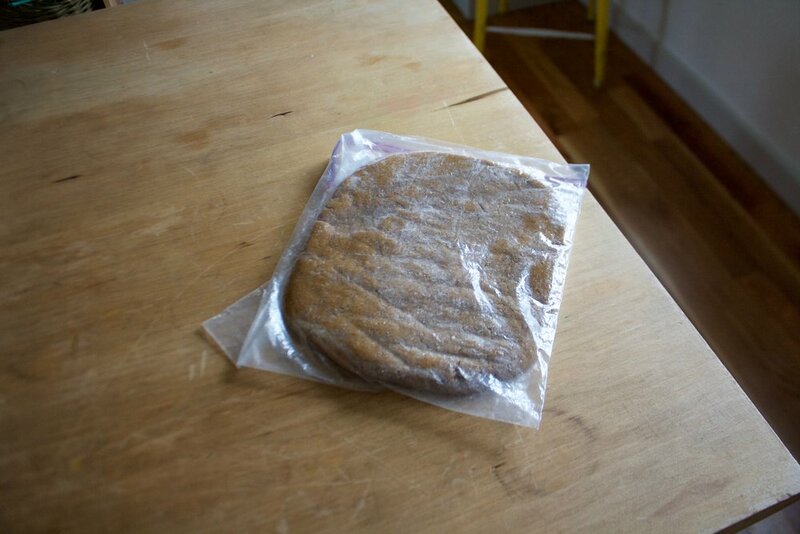 Gather the dough into a ball then wrap in plastic (or stick in a plastic bag)and smoosh flat and rectangular. 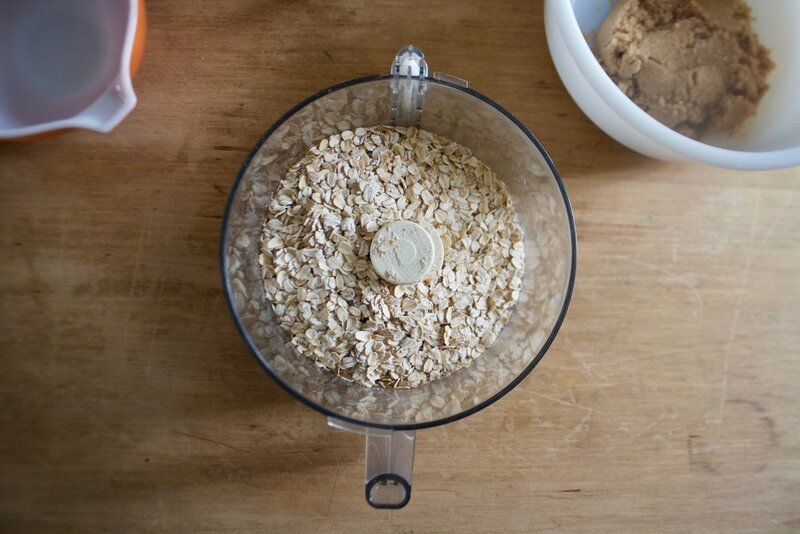 Place in the fridge for at least 2 hours, if not overnight. IT needs the time firm up. After the dough has firmed up, its time to roll it out. Cut the dough in half (place the other half back in fridge until you are ready for it) and roll out on a very floured surface. 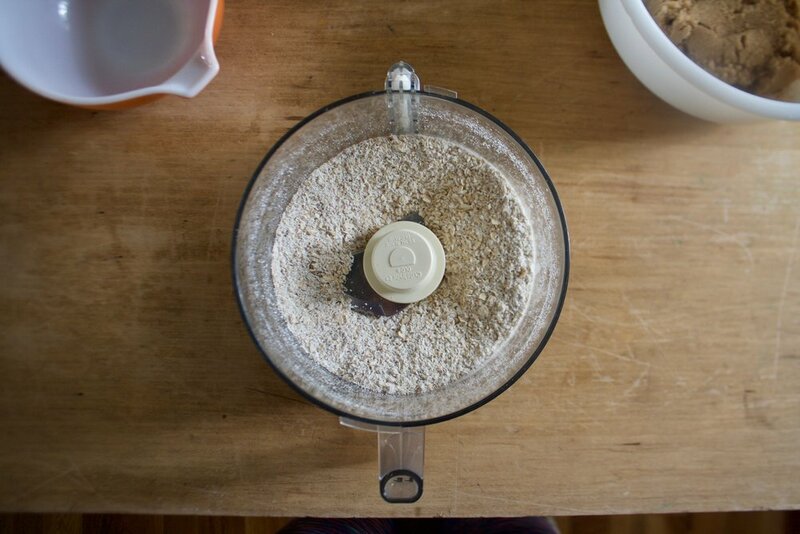 The dough is sticky and not super strong so go slow and make sure to keep the surface and the rolling pin floured so it doesn't stick . When it's all rolled out, trim the sides even the cut into into squares or rectangular (or any shape you want). I was going to measure and make them all the same size and then I was like, yeah, no. I just eyed it and made them kind of the same size. I don't live in a world where I need perfect graham crackers. Gently transfer the crackers ( I used the bench scrapper to list them, but a spatula would be good too) on a parchment lined baking sheet. Run a line the doesn't cut all the way through in the middle of each cracker and then poke 6 (or how many you want) hole on each side. You can use a toothpick or a wooden skewer. I used a size 8 kitting needle. Get all your crackers made and sprinkle the tops with a little graduated sugar. 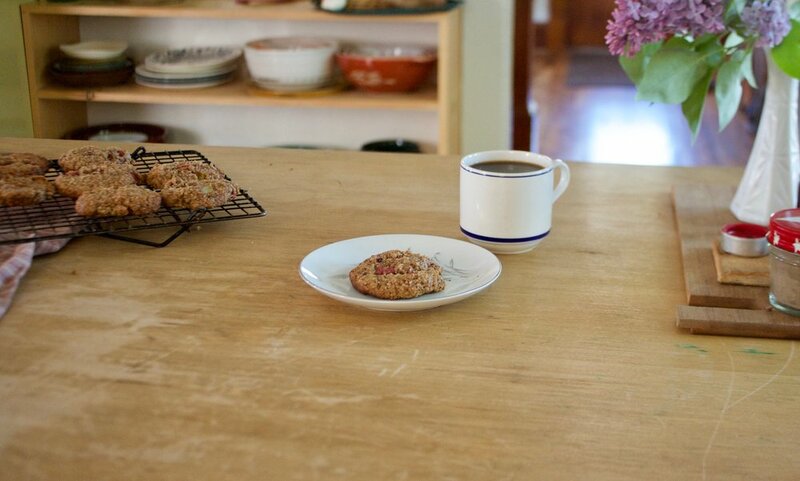 Pop into the preheated oven to bake for 15-20 minutes, rotated around 10 to keep an even bake. Done. Golden brown graham cracker success. Cool the crackers on a wire rack. And now you have yourself graham crackers for all your graham cracker needs. 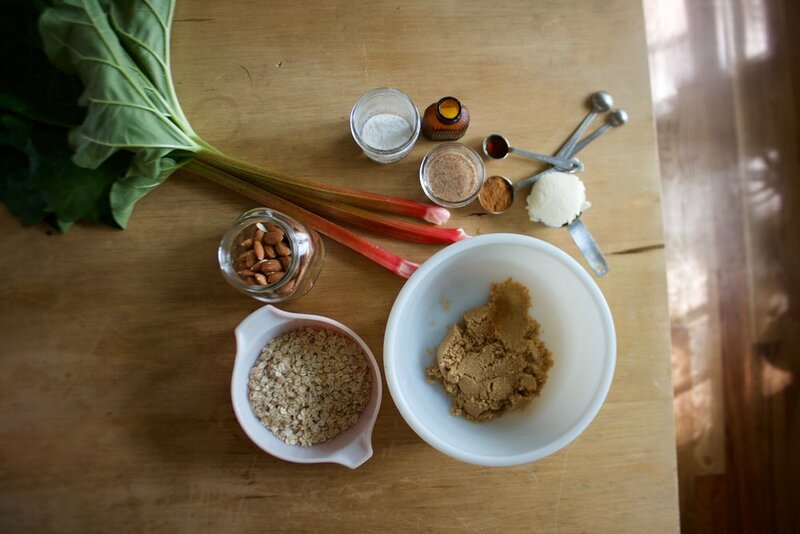 May I suggest a smear of peanut butter, maybe a glass of milk or coffee and some Martha Stewart on the tv? 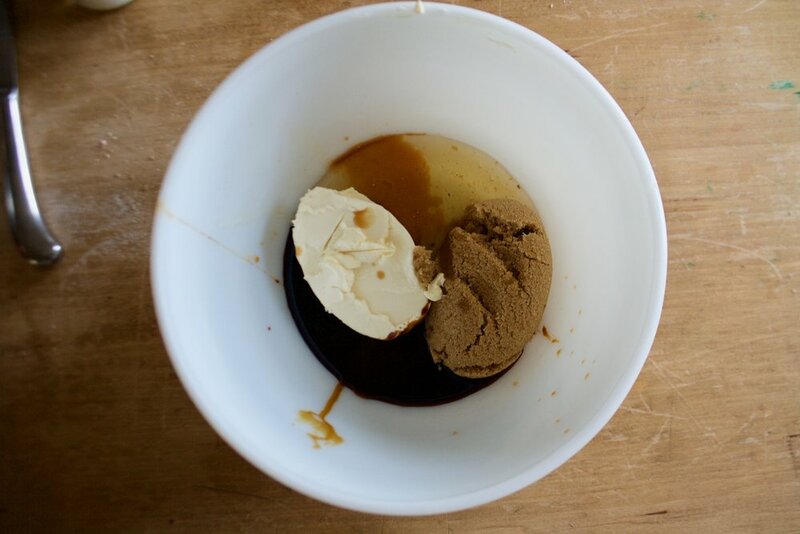 Stick the butter, brown sugar, honey, molasses , and vanilla into a large bowl and beat with an electric beater until smooth, In a smaller bowl, whisk together the flours, salt, and baking soda. 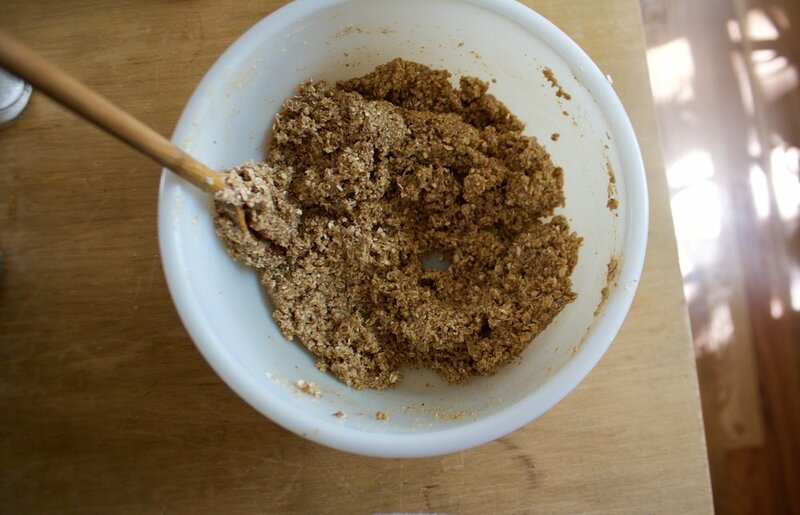 Dump the dry into the wet, add in the milk and beat on low until mixture just starts to come together,then use your hand and smoosh and knead the dough into a ball. Either wrap or place dough ball in a plastic airtight bag, smoosh into a flat rectangular shape, and refrigerate for at least 2 hours, if not over night. 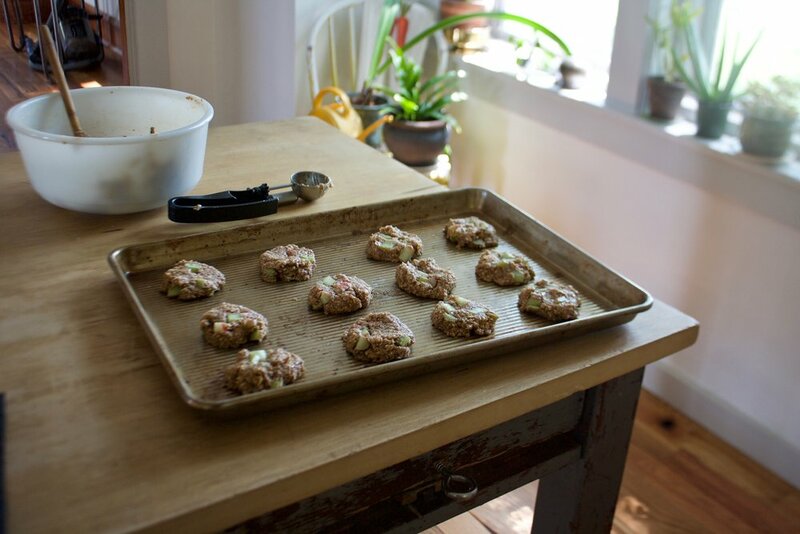 When you are ready to bake the crackers, preheat oven to 325 and line 2 large baking sheets with parchment paper. Place the crackers on prepared baking sheet and take you cutting instruments and run a line along the middle of each cracker without cutting all the way through (if you cut all the way through, it should fuse back together in baking) Take a wooden skewer and poke 6 holes into each side. 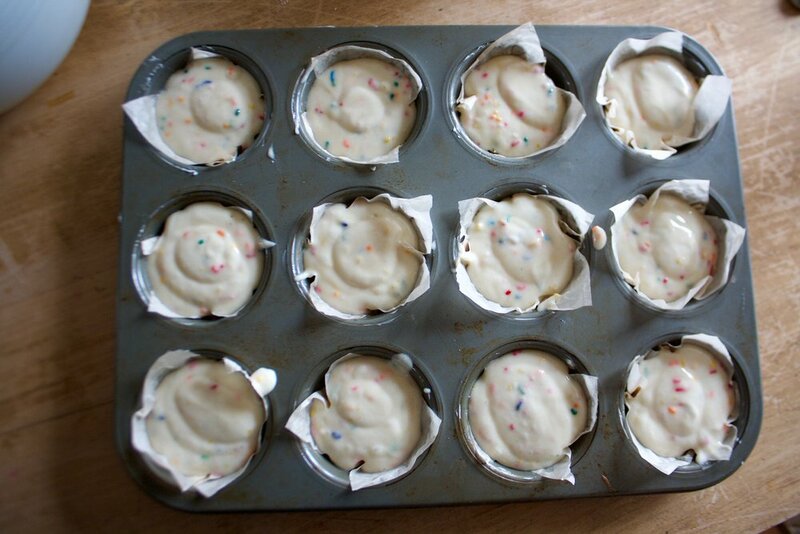 Sprinkle with white sugar. 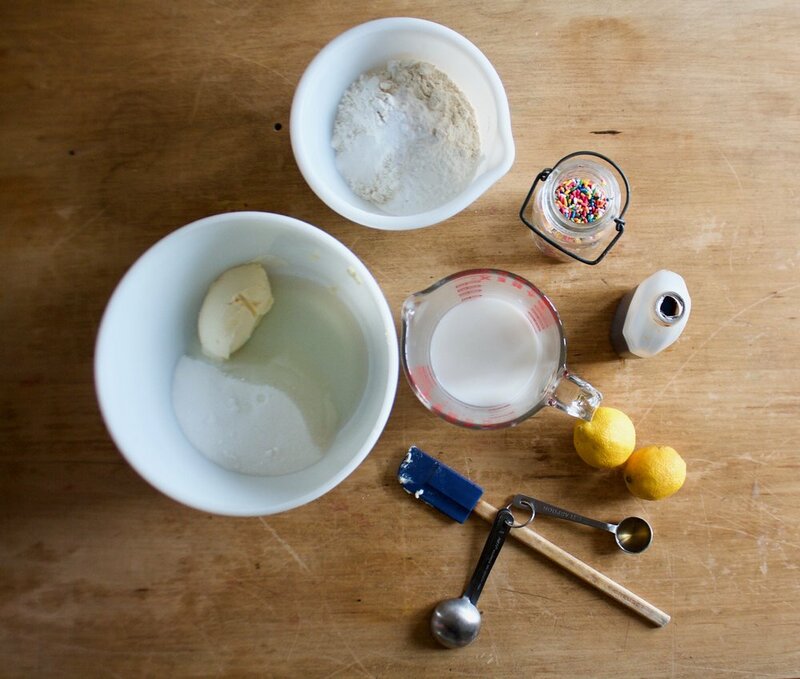 Now grab the second half of the dough and do the same thing. And don't forget to gather all the trimming and either roll into more crackers or just make one weird shaped blob cracker for taste testing. Once all the crackers are prepared, stick into the oven to bake for 15- 20 minutes (15 for a softer cracker, 20 for a more crispy cracker) , rotating after 10 minutes to insure even baking. Once the crackers are a nice golden brown, remove and place on a wire rack to cool. Eat the way you do. Store uneaten crackers in a airtight container for a up to a week. Crackers can be frozen for later use.